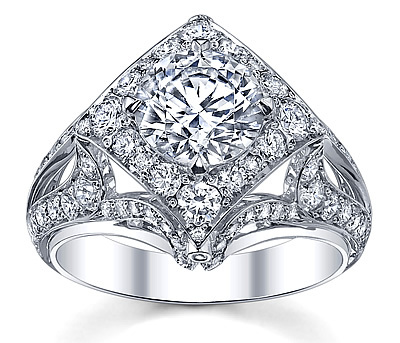 Engagement rings with side stones in a diamond ring will perfectly compliment the brilliant center diamond. If solitaire style rings appeal to you but you want some added brilliance then consider one of our beautiful rings with side stones. 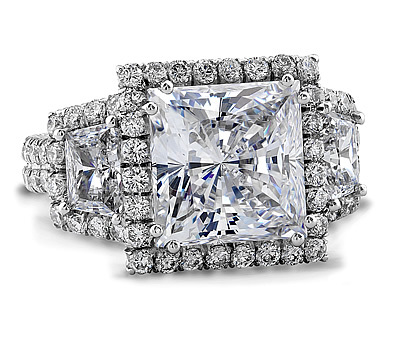 Your bride will love the stunning diamonds adorning her wedding band. 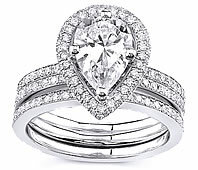 Engagment rings with side stones usually consist of a center diamond flanked by two or more decorative stones. In some cases, there are hundreds of side stones (usually diamonds) set in a pave style. 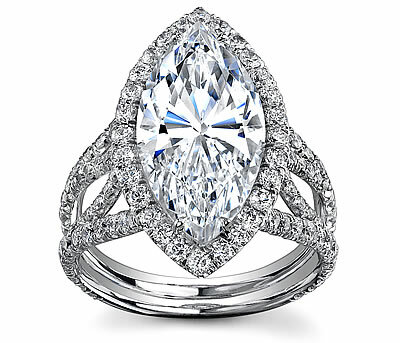 The side stones add size and brilliance to the center diamond and make it stand out even more. 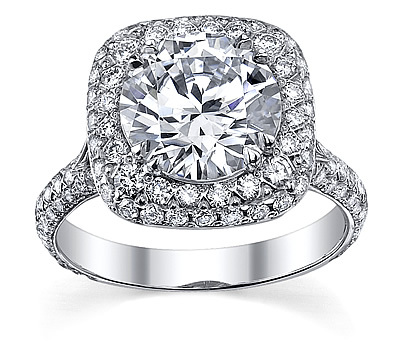 An engagement ring with side stones makes a truly special statement. Our large selection of rings with side stones shown here guarantees that there is something that everyone will love. Remember, these rings with side stones are custom made for your certified center diamond in the USA for the highest quality. Your satisfaction is guaranteed. Our rings with side stones are available in 14k or 18k white or yellow gold, or platinum. 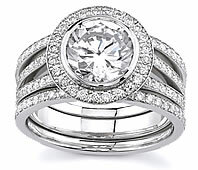 Upon viewing our selection or engagement rings, you will see many styles of varying prices. 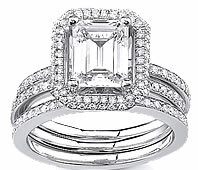 You can trust Novori to create that special ring for your special day.